Today we’ve sent Vodafone Live Guy on an exploration of Newcastle, where he’ll be ducking and diving from our intrepid Stylist Brighton. 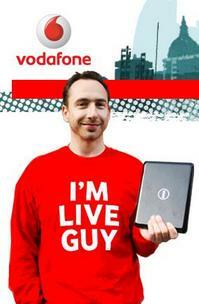 If you manage to track him down and say the magic words (“You’re Liveguy and I’m a Vodafone winner! !”), you can win a Dell Netbook. Need clues? And if you’re not in sunny Newcastle, you can predict where you think he’ll be for a chance to win.